PORT OF SPAIN, Trinidad and Tobago (CNS) -- Even as he prepares to receive a red biretta from the hands of Pope Francis, Cardinal-designate Kelvin Felix hopes he can continue his ministry as a "country parish priest." But he admitted he may have a few new assignments from Pope Francis. The Dominica-born prelate, ordained in 1956, is the first cardinal to be named from the Antilles bishops' conference, based in Trinidad and Tobago. 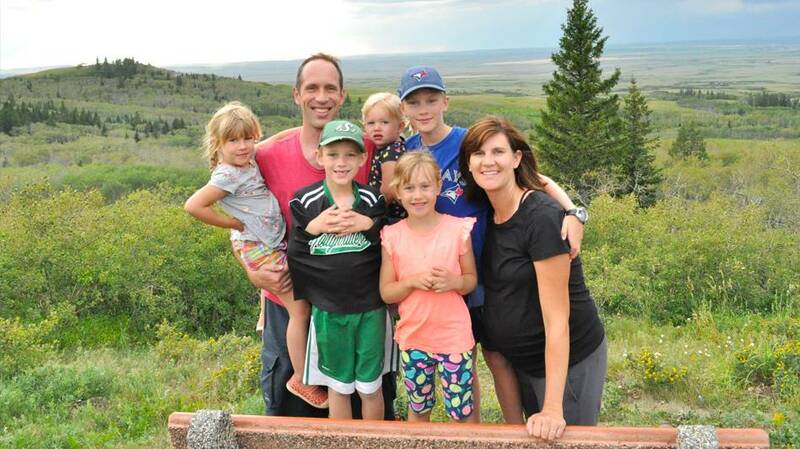 "Now that he's been appointed a cardinal, I'm certain he will prefer his people to continue referring to him affectionately as 'Father Felix,'" said Msgr. Patrick Anthony of St. Lucia, who served as vicar general under the then-archbishop. Cardinal-designate Felix led the Archdiocese of Castries, St. Lucia, for nearly 30 years and was away from his home country so long that people believed he was St. Lucian. Since retiring in 2008, he has been trying to "re-establish" himself in full-time priestly ministry by working in a small parish in Soufriere on the southwestern coast of St. Lucia. Archbishop Patrick Pinder of Nassau, Bahamas, bishops' conference president, hailed the appointment as a "signal honor" for the Caribbean island nations. Archbishop Nicola Girasoli, apostolic nuncio to Antigua and Barbuda, as a "reason to rejoice" for Catholics in the region. In Dominica, Bishop Gabriel Malzaire of Roseau said the mood was "one of excitement and a sense of gratitude to God for bestowing this special honor." The government of Dominica congratulated Archbishop Felix as a man who "demonstrated his love for country and a desire to play his part in the spiritual development of his people." Since his appointment, Cardinal-designate Felix has been busy with media interviews, photographers, congratulatory phone calls, visits and arrangements to travel to Rome where he and 18 other prelates will be inducted into the College of Cardinals Feb. 22 by Pope Francis. He will be 81 Feb. 15 and will not be eligible to vote for the next pope. In a brief telephone conversation Jan. 15 from Soufriere, Cardinal-designate Felix told Catholic News Service that he was surprised and shocked by the news. "It was not expected. Everybody is grateful to the Holy Father. I thank God for the honor," he said. The appointment marked a "happy moment for the church" not only in Dominica, he said, but the Caribbean. Archbishop Joseph Harris of Port of Spain and others echoed the sentiment. Archbishop Harris told CNS that "the Spanish-speaking Caribbean already had and continues to have cardinals -- Cuba, Santo Domingo (Dominican Republic). ... But the English and Dutch-speaking Caribbean has been without a cardinal. So it's a good thing, a significant moment for the church. It shows that Pope Francis is serious when he says that all the church is important." Archbishop Felix's appointment comes after the Nov. 29-Dec. 4 pastoral visit of Cardinal Fernando Filoni, prefect of the Congregation for the Evangelization of Peoples, to the Caribbean. During that visit, the bishops appealed for a representative at the Vatican who was from the West Indies so that church officials would better understand life in the region. Gerard Granado, general secretary of the Caribbean Conference of Churches, said Cardinal-designate Felix was the "perfect exemplar of what the region's bishops have historically stood for in a special way, ecumenism." He recalled working with Archbishop Felix when the "elder statesman in ecumenism" was associate general secretary of the conference from 1975 to 1981 and was responsible for the Agency for Renewal of the Churches. Archbishop Felix also served as conference president from 1981 to 1986. While Cardinal-designate Felix said he does not know exactly what to expect in his new role, his aim is to continue his "life of service." At the same time, he asked for prayers from the people of the Caribbean that he continue to serve the church. 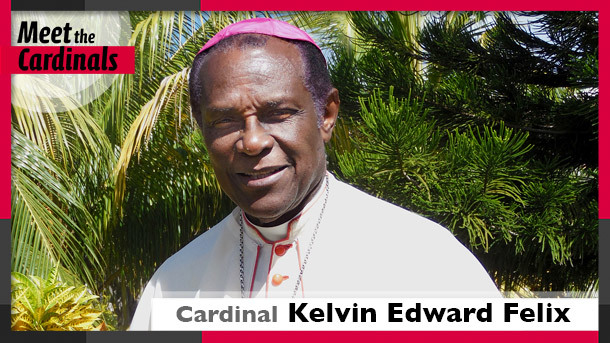 Archbishop Kelvin Felix was born in Dominica on Feb. 15, 1933. He was ordained a priest April 8, 1956. He studied in Canada, the United States and England from 1962 to 1970. He returned to Dominica where he served as principal of the Catholic high school for three years before joining the Caribbean Conference of Churches. He served as president of the Antilles bishops' conference from 1991 to 1997.